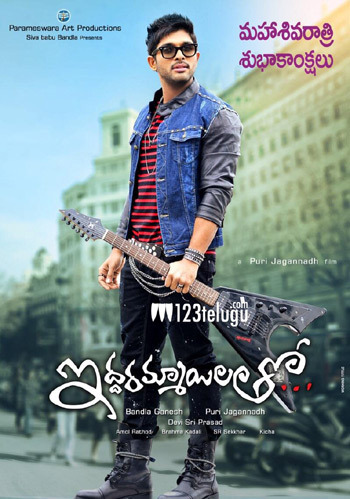 Allu Arjun’s Iddarammayilatho audio date confirmed! The audio album of Stylish Star Allu Arjun’s ‘Iddarammayilatho’ will be released on April 28th in Hyderabad. The venue is expected to be Shilpa Kala Vedika and an official announcement regarding the same will be made shortly. Devi Sri Prasad has composed the film’s music and Puri Jagan is the director. Amala Paul and Catherine Tresa will be seen as the heroines in this movie. The romantic entertainer has been produced by Bandla Ganesh on Parameshwara Arts banner. ‘Iddarammayilatho’ has been shot extensively in Spain and Bangkok and the film is being readied for release in May.